The Coterie Retreat is an annual 3 day conference for wedding and event professionals that service the multicultural market and are looking to fine-tune their businesses, master best practices and enjoy some down time connecting with the best of the event and wedding industries. 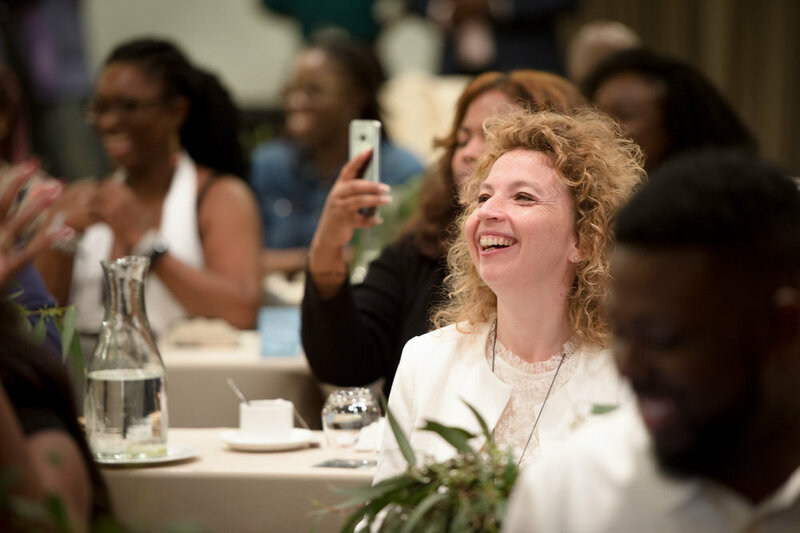 Launched in 2014 by the founders of Munaluchi Bride Magazine, the Coterie Retreat is more than just another conference -- it champions inclusion, diversity, and community. Our mission is to provide a platform of growth and collaboration for wedding professionals that cater to the fast growing multicultural market. In 2010, co-founders Jacqueline Nwobu and Chike Nwobu set out on a journey to create the first nationally distributed print magazine catering to women of color. It was a journey that they never planned for, but instead, stumbled upon. It was a journey that has been both challenging and life changing not just for them, but for the wedding industry itself. Click here to watch Jacqueline Nwobu’s TEDX talk on how the Munaluchi Brand was founded. Munaluchi has been inspiring brides of color for the past 4 years in print, digital and on their heavily trafficked website. At the same time, wedding creatives have found much success in the brand with published features and referrals from their readers. It was out of this referral system, that The Coterie was born. Over the past year, The Coterie has grown tremendously and the Coterie Retreat was born out of a need to bring all our members and their industry peers together once a year for intense education coupled with relaxation and fun. It’s like a family reunion. We are only stronger, when we are together. Our mission is to create an environment where collaboration and community triumph. We do this by bringing the best of the wedding industry together in a relaxed, non-intimidating setting for deep reflection, much needed downtime, and education.